A quality high school baseball team that competes for league championships, tournament titles and goes deep into the playoffs year after year takes a bit of work. It takes about four years to build a high school baseball team to your liking. The series on high school coaching continues here with several baseball coaching tips and baseball techniques that can be put to use in your baseball coaching. Once you begin your tenure of baseball coaching jobs you can continue to polish your coaching skills with good tips that many in coaching use to great success. "A coach is someone who can give correction without causing resentment." John Wooden. That’s your fault. You have to find one. You have to start developing pitching coming into high school at 9th grade. Yes, some years may be better than others but overall, using the system I recommend all the way through youth baseball pitching levels you should have quality pitchers and have plenty of arms year after year to compete for league championships. You should have four pitchers per age year in your pipeline. Say you have a team of 11 and 12 year olds. You should have at least four pitchers in the eleven-year-old group and four in the twelve-year-old age group. The same way goes for your high school age groups. You should be working towards having six to eight pitchers on your 9th grade ball team. By the time each high school baseball class becomes seniors you should have at least 2 to 4 pitchers still pitching from this 9th grade class. Of those two to four pitchers you hope that at least one or two have developed enough so they can really compete and compete well enough to challenge the best teams around your area. "Failure to prepare is preparing to fail." John Wooden. More on Developing a Pipeline of pitchers. "The Kids Don't Want to Play Ball"
When I first left professional baseball coaching and coaching college baseball players and went to the high school level I was really hesitant. 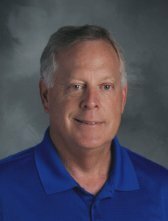 I was hesitant and skeptical that the high school baseball players would not be dedicated and hard working competitive kids like I was used to working with. 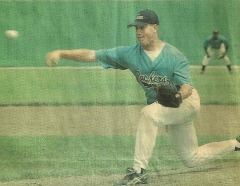 Fortunately I found I did have a large majority of baseball players that liked to practice and compete at a high level. I don’t know if I just got lucky with a good bunch of kids or if my coaching skills and motivation was a factor; Maybe some of both. If you don’t have kids who want to play baseball then go get some that do or inspire and teach baseball to the ones you have. I try to keep practice very practical, positive, competitive, and time efficient. I also am very aware of how difficult baseball is to play and very respectful to my players in the effort they put out. I avoid verbal beat downs and try to look for the good stuff to dwell on. I never have high school baseball tryouts. One reason is I never had an over-load supply of too many players that come out for the teams. I also was fortunate to have a JV and Frosh team too. As a rule I never want to cut a player that comes out for the teams. The only exception is someone who is so poorly skilled that they might get hurt by the ball from the inability to catch the ball. If that’s the case find a spot for them as equipment manager, score keeper or first base coach. Otherwise, as long as the kid works hard, shows up everyday, and realizes that playing time may be pretty limited I try to keep every baseball player that want to play. Now, I know that it will be hard to keep the bench players happy if they do not play much. Communicate with the extra players —tell them you will get them in when you can but reality is they may never play much if at all. If they are okay with little or no playing time and know they cannot pout or have their parents calling you every week to discuss playing time then they are more than welcome to join the team. As high school baseball coaches we will come across many different player personalities, ability levels and interest levels. 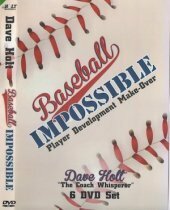 .•	“A discipline problem kid who likes baseball can be saved. •	A problem boy who doesn’t love the game is hopeless. •	A talented kid who loves the game is a gem—and a rare one. •	Next in line is the kid who loves the game and has some ability. He’ll win 8 out of 10 for you, and that’s enough. Take him over the kid with more ability and a poor attitude. •	The kid with little ability but a good attitude can be used as a base coach, reserve catcher, or equipment manager. He will help you”. High School Baseball is a very difficult game to play well and the game takes tremendous amounts of work to polish the skills needed for consistent execution under game pressure situations. The only way to master the skills necessary is to practice the skills over and over to the point of becoming routine plays under game on the line conditions. I was in a high school baseball league recently where an opponent’s team never took pre-game infield outfield practice before ballgames.The way I look at it is this. Say your infielders take two grounders and throw to firstbase. And another two grounders for turning double plays. Then a long backhand play and then a slow roller and then one play with the infield and throw the ball home. I count seven fielding plays plus all the throws from the catchers throwing the ball around the infield. If you play twenty-five games multiplied by seven plays that equals potentially 175 extra practice plays over the season. I will take that infield drill fielding practice and throwing over sitting in the dugout any day—it’s a no-brainer. Thanks very much for stopping here at coachandplaybaseball.com. I hope you drop by again, bookmark the site and share us with your baseball folks.